My name is Mahfuzul Hasan. 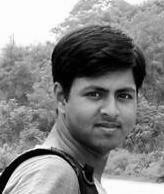 I am a freelance web developer from Bangladesh. I am proficient in HTML, CSS, PHP, MySQL, jQuery and AJAX. I also know WordPress Theme Development and Responsive Web Design. Work as a php, WordPress and Drupal developer. Work as a Web Programmer. Ultimate Information Architect Limited is the dynamic and pioneering software company that offers software design, development, testing and implementation services. Work as a Web Developer, Digitech Valley is a IT Firm from Rajshahi, Bangladesh. Develop custom web application for global client. Work as a Trainer, Rajshahi IT Center (RITC) is one of the leading IT training home in Rajshahi, Bangladesh. Provide quality IT training in real life working environment with real life projects. Rajshahi Govt. City collage, Rajshahi. To strive for excellence in the field of web development where my skills and knowledge will be utilized in the best possible way to fulfill organizational goals.